Under The Influence were at one time a well-known name on the small festival and gig circuit of the United Kingdom, which included two stints at the highly regarded Camden Rocks Festival. These days they’ve adopted a new moniker, Youth Killed It, and are taking things in a completely new direction. 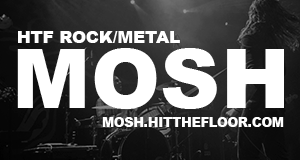 Previously focusing on putting out music that would fall under ‘metal’, the band have decided to now focus on a sound that they’ve labelled with the likes of 90’s Britpop and early 00’s indie rock. They released two EPs early last year, laying the foundations for their attack on the world. 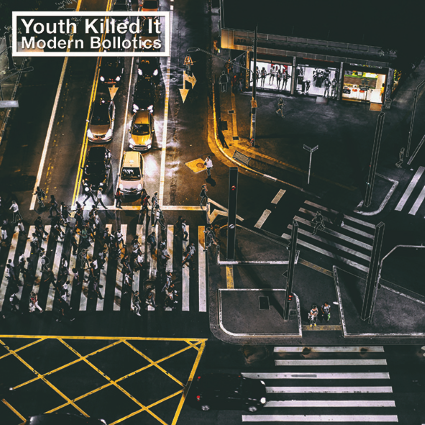 Now signed to Rude Records, Youth Killed It are gearing up to release their debut album, Modern Bollotics. The title really hits the nail on the head explaining how the younger generations of this world are feeling lately, what with all that’s going on in the governments of major powers. The album opens with a nine-second-long ‘skit’ entitled ‘Cheers Mate‘, which then leads into the first offering of the musical variety— ‘Jean-Claude (Van Mann)‘. From the very get-go, the energy and style Youth Killed It are channeling is very reminiscent of nouveau-punk bands that are making waves these days in the indie scene, such as Slaves (UK) and Sleaford Mods. It’s fast paced and unapologetic, presenting an attitude that will serve to do the five-piece well. The lyrics on every track are biting, forgoing the usual themes of true romance and broken hearts in favour of utilizing humor. This is a common trope in indie-punk, where bands focus their integrity on the instrumental makeup of tracks and pump their lyrics full of innuendos and euphemisms. ‘Soul Trader‘ is a perfect example: “You can call me a soul trader / ain’t no villain like Darth Vader”, as well as the self-explanatory titled ‘Fudge‘. Youth Killed It’s new venture may not be for every rock fan (especially since it certain seems to teeter on the edge of full-blown indie), but it’s a fresh and clever attempt at a subgenre that’s severely lacking in new talent. They’ve taken a huge, risky step away from what they once were but this album is definite proof that it’s paying off and they’re capable of succeeding just like they have before.